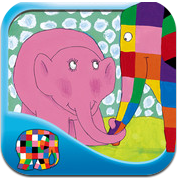 Elmer and Rose is an adorable book app with the delightful characters in patchwork and pink! Elmer is asked to help the pink baby elephant – Rose – get back to her herd. All of the elephant friends work together to make this happen. Presented to us by Oceanhouse Media with the same great graphics and audio and loaded with fun. We have fallen in love with Elmer and his friends and I am sure you will too. I just have no idea where I would put an elephant! Elmer is asked to help. All of the elephant friends work together! 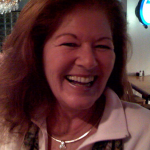 A happy ending and a great lesson!